Bro Ddyfi is a mapped area of Ysgol Bro Ddyfi school, which is situated in Machynlleth. 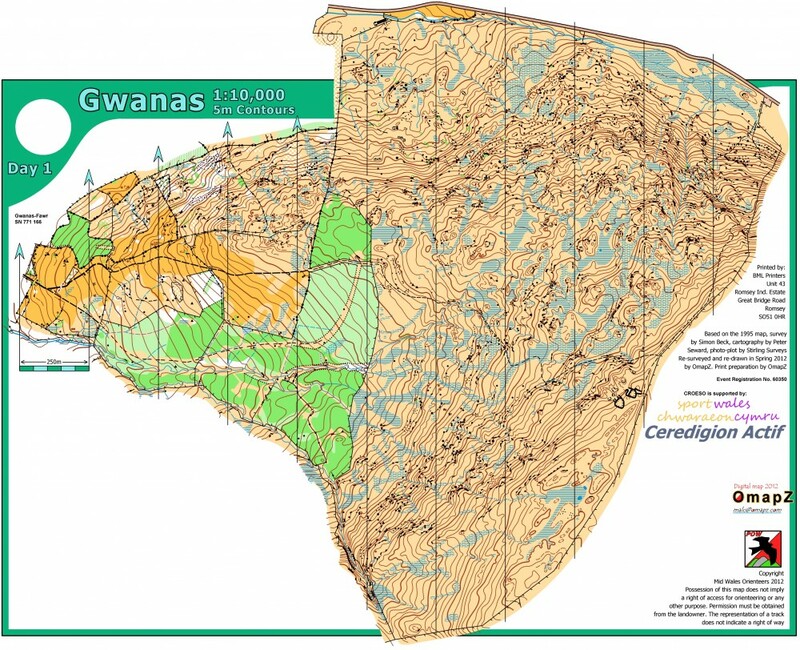 The area is part of an area that was selected initially for Croeso 2012 and mapped by Malcolm Campbell of Omaps. Unfortunately the lack of suitable parking ruled it out of contention for Croeso. The Carneddau situated between Builth Wells and Howey. 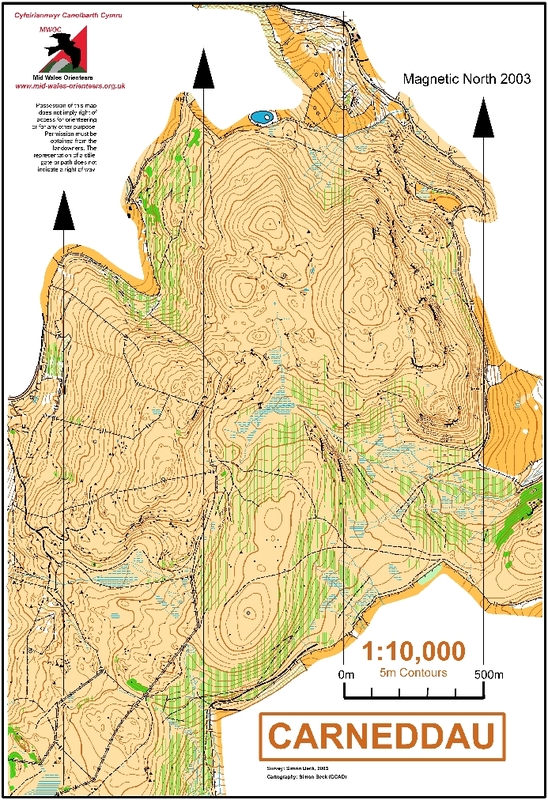 This is a Forestry Commission plantation with some very runnable bits and some areas of rough terrain (bramble bashers advised – but not like the man-eating brambles of Allt Fedw!) and a network of gravel forest roads and paths. Gwanas is near Dogellau just off the junction of the A470 and A487. The terrain is mainly wooded with conifer and deciduous trees situated on a hill which runs the length of the area, with steep sections in places. The ridge of the hill runs west to east with the north side in Wales and the south side in England. The conifer areas are covered in brashings (small cut branches), which makes running difficult; the deciduous areas have varying degrees of undergrowth. The area has a number of forestry tracks and numerous paths some indistinct.